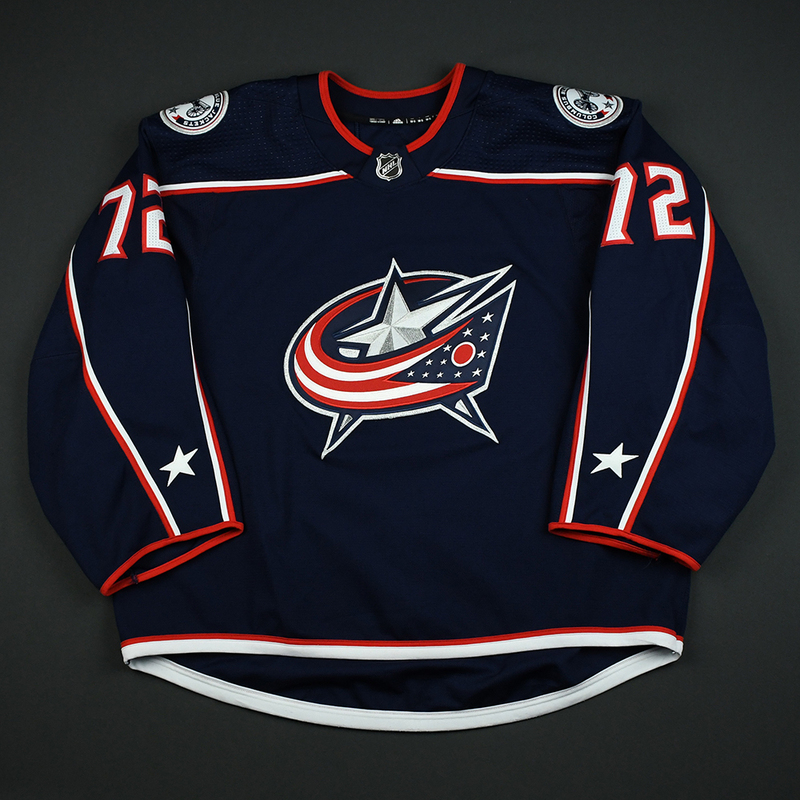 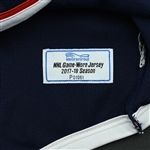 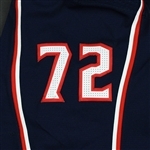 Sergei Bobrovsky wore this Blue Set 2 / Playoffs jersey while playing for the Columbus Blue Jackets from December 20, 2017 through April 5, 2018 and in home games throughout the Blue Jackets' Round 1 series vs. the Washington Capitals. 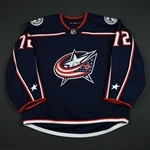 The two-time Vezina Trophy winner went 37-22-6 in 65 starts with a .921 save percentage in 2017-18. 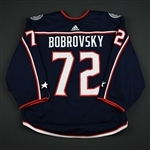 Bobrovsky played in three home playoff games. He wears three jerseys per game.